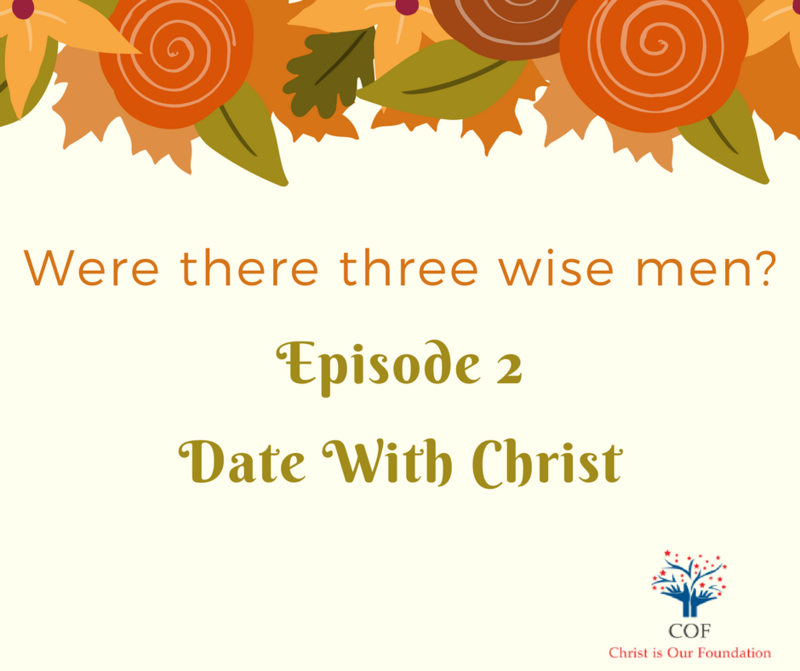 Episode 2- Were there three wise men? Today’s passage reminded me of an incident which happened during my Sunday School. We were sitting in the Sunday School waiting for our Teacher to enter. As we were talking among our self, he entered the room and we all kept quiet to listen to him eagerly, to learn from the Bible. He said, today he will be teaching us about the Wise Men mentioned in the Bible. But before proceeding he asked us one question – How many wise men were there in the Bible? We all replied in unison and with confidence that they were three, he again asked us are you sure? We thought that it was funny that he was asking us that if we were sure. Even the smallest kid in the Sunday School knew that there were three wise men. Then he said- “Okay, show me where is it written in the Bible that there were three wise men”, we all turned our Bibles to Mathew, Mark, Luke, and John, nowhere in the gospel was it written that there were three wise men. Then he said that since there were three gifts we assumed that there were three men. It could have been possible that there were more or less than three men but one thing was sure that there was more than one wise man because “The Bible” mentions them in the plural form. Last week we had a time with Mathew 1:18-24, in the later post we will discuss the genealogy of Jesus as well. Here is the link to the previous post prior to this post. 9 After they had heard the king, they went on their way, and the star they had seen when it rose went ahead of them until it stopped over the place where the child was. 10 When they saw the star, they were overjoyed. 11 On coming to the house, they saw the child with his mother Mary, and they bowed down and worshiped him. Then they opened their treasures and presented him with gifts of gold, frankincense and myrrh.12 And having been warned in a dream not to go back to Herod, they returned to their country by another route. The wise men followed the star but used their wisdom and logic, so they went to the palace in search of the newborn baby King. It’s only after reaching there, did they realize from the King that there was no such baby. So they went again in search of the baby, this time they found the star again and followed it all the way, where it stopped in the “house” where Baby Jesus was. When they saw the star, they were overjoyed. On coming to the house, they saw the child with his mother Mary, and they bowed down and worshiped him. How many times have we relied on our own wisdom rather than what God has told us? Have you taken any decision and moved away from God’s plan and purpose which led to delay his plans for our lives? Can we think over this? The Bible speaks of Wise Men but it’s not mentioned that there were three wise men. When the wise men visited Baby Jesus, he was not in the manger, they had moved to a house. The wise men had relied on their wisdom and they needed an object to reach to Jesus. God’s plan for your life is beyond human reasoning and logic. So trust him with your everything and see how he unfolds his greatest plan in your life.